Through the frequencies of Divine LOVE, the Wholeness Pendant supports the raising of consciousness and opening of the Heart. 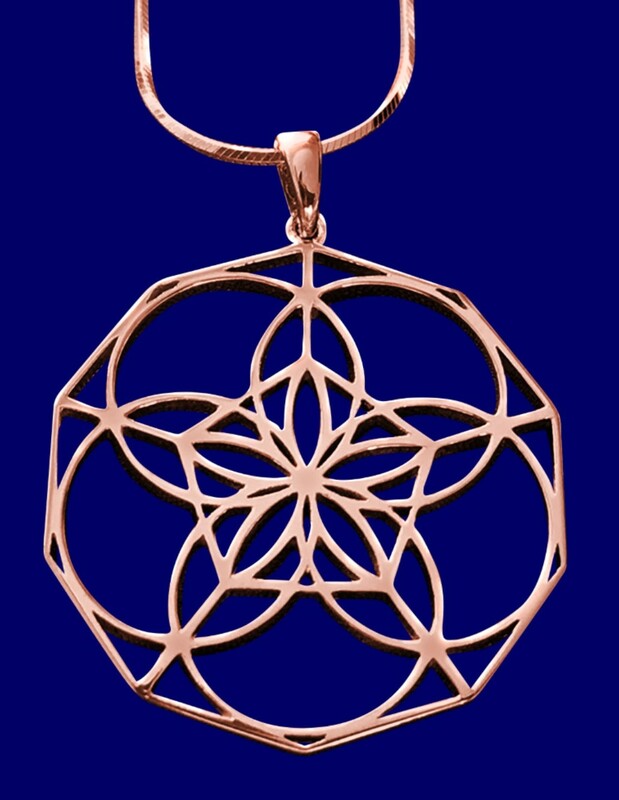 This inspiring piece of jewelry is designed by high vibrational healing artist, Barbara Evans to specifically encourage a strong connection with our True Essence, gently opening the way for Wholeness and Vibrant Health to blossom in our lives. 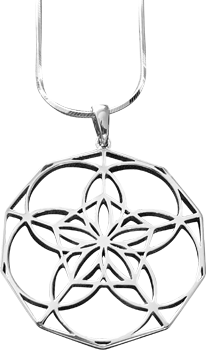 The straight lines within the geometry of this delicate pendant represent a Dodecahedron, symbol of the Universe and Creation. 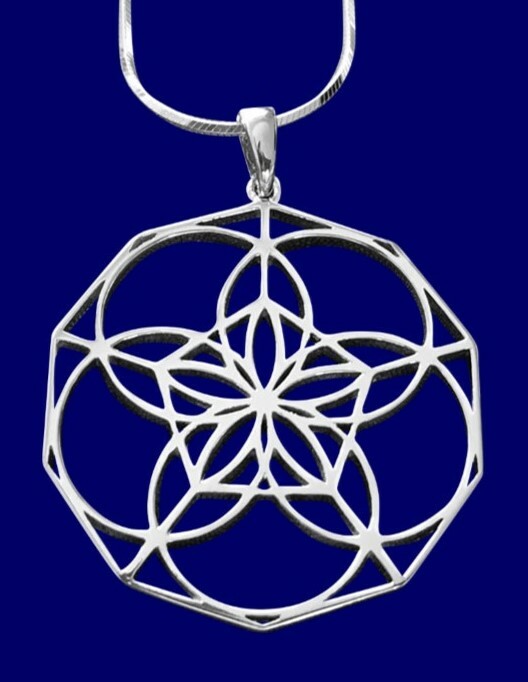 Enfolded within the dodecahedron is a 5-petal Rose, creating connection to the Divine Feminine. 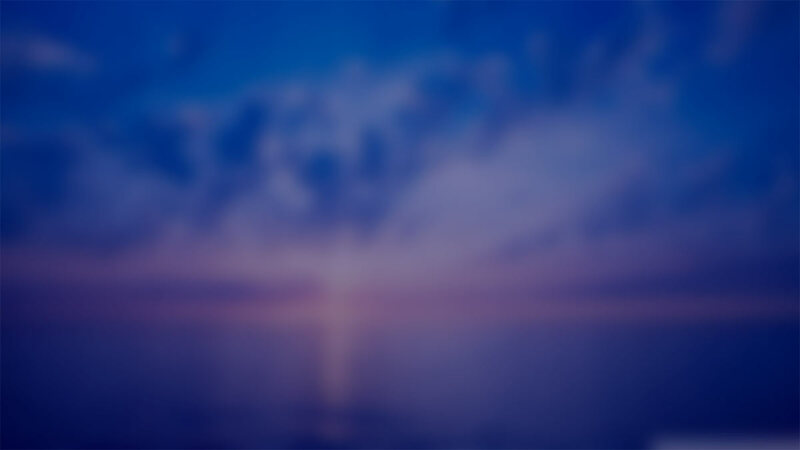 At the heart of the Rose, 5 lotus petals honor Venus, the Planet of Love, Beauty, Harmony and Creativity. 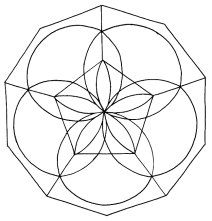 Pythagoras associated the number 5 with the art of healing, and considered the 5-pointed star a symbol of Health. The Wholeness Pendant is available in three versions: pure sterling silver; vermeil gold on sterling silver and vermeil rose gold (gold/copper mix) on sterling silver. Silver is considered to possess a lunar archetypal feminine energy, which helps us express the deepest aspects of Self… our true essence. 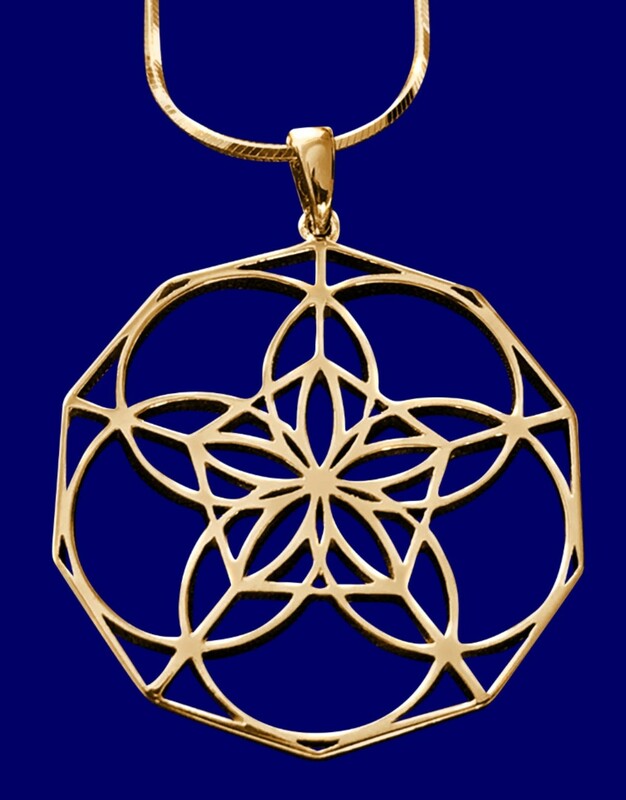 Gold carries the solar archetypal masculine energy, and brings Joy, Excitement, Strength and Determination. Copper can be considered a conduit between Heaven and Earth – it assists the manifestation process and is a powerful support for physical healing. Each piece is carefully and lovingly hand-finished, measures 33mm in diameter, and is presented with a beautiful matching Italian snake chain and a descriptive certificate of authenticity. “The days I wear my pendant, I just feel so empowered!